All songs recorded at Palmyra Studios in Palmer, Texas. This is the first time that one of my original songs made it onto a band album. I wrote the song "Second Hand." 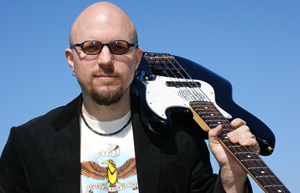 Drummer/vocalist Tim Smith contributed the lyrics. 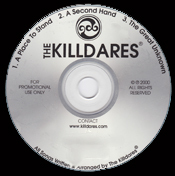 These are "demo" versions of 3 songs that were eventually re-recorded for The Killdares "A Place To Stand" album. I actually prefer this performance of "Second Hand" to the official released version on "A Place to Stand". The overall energy and vocal performance is great. Also, I got to experiment with some e-bow on this version of "The Great Unknown" which sounded nice but didn't end up on the final released version.